Editor's Note: The following article is the final of six stories TMA's Healthy Vision 2025 advocacy plan, highlighting TMA's priorities for the 86th Legislative session. In the following article, Victor H. Gonzalez, MD, describes how the state's financial cuts to care for Texas' poorest of the poor — our Medicaid and Medicare "dual-eligible" patients — is jeopardizing his patients' eyesight. He stresses the need to fund these patients' care, and support the physicians who care for them. all because a highly trained physician can no longer afford to see them. Diabetes, uncontrolled, ravages its victims’ bodies. It destroys their kidneys. It ruins their nerves and blood vessels. And it blinds them. A deadly combination of genetics, diet, and economics have made South Texas the epicenter of a diabetes epidemic. Like a magnet, all of that drew a young Harvard-educated ophthalmologist to the lower Rio Grande Valley. Fresh out of fellowship at an institution that helped develop a drug that “was going to be a total game changer for diabetics,” Victor H. Gonzalez, MD, turned down an offer to practice in Beverly Hills — and moved to McAllen. Dr. Gonzalez founded Valley Retina Institute (now part of Gulf Coast Eye Institute) in 1994. He not only treated patients for their diabetic retinopathy — the complication of diabetes that can lead to blindness — he also won funding for clinical trials on the promising new medicines he had studied at Harvard. Rio Grande Valley ophthalmologist Victor H. Gonzalez, MD, describes what happens when state funding disappears for the most fragile Texans - people who are elderly, permanently disabled and poor: Patients are harmed. He made it work until 2012 because of the complex financing involving the bulk of his practice, the 60 percent covered by both Medicare and Medicaid – the “dual-eligibles.” Between the state and federal governments, caring for those patients earned Dr. Gonzalez a fee equal to Medicare’s standard payment for office visits and procedures. Then the state slashed its share, drastically. 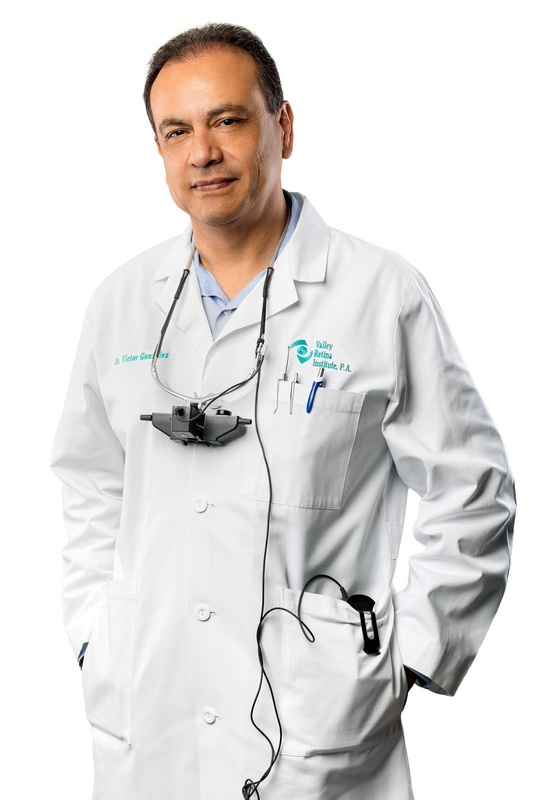 “All of a sudden the floor gets pulled out from under us, and for over 60 percent of the practice we get a 20-percent revenue cut,” Dr. Gonzalez explained. The juggling act got a whole lot more complex. As the practice sought out a more balanced mix of payers, it had to “significantly cut back” on free care. Then, in an attempt to further reduce costs, the state specifically targeted ophthalmology services and reduced what Medicaid pays for eye care. “It’s just been a constant assault on us,” he said. All of that means the uninsured and dual-eligible diabetic patients — the ones that attracted Dr. Gonzalez to South Texas — have to wait longer for care. Emergency care, of course, is more expensive for the state. And Dr. Gonzalez says he can stabilize the disease process and recover lost eyesight for about 80 percent of the patients who can’t get in to see him until they have an emergency. But, he adds, that is far below the promise of available treatments when they are instituted on time.